Why I oughta! 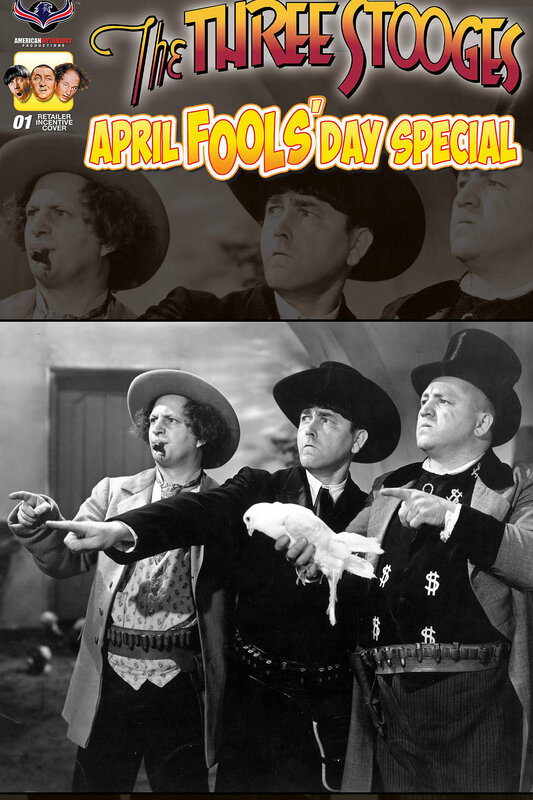 The kings of comedy return in a special April Fools’ Day issue that celebrates mayhem and mirth The Three Stooges way! This issue features brand new stories using the likenesses of the original Three Stooges and is guaranteed to have you nyuk, nyuk, nyuking all the way home from the comic shop! If you are tired of the same-old same-old comics, add this pie-to-the-face issue to your reading pile and laugh it up with a true American original!